Is clubland in terminal decline? It’s a question that comes around almost as often as “Will England win the World Cup?”, and the answer is much the same. No (sorry, England fans). Given the well-publicised, and sometimes not-so-well informed speculation about the closures of two of London’s (or indeed the world’s) biggest clubs in recent weeks, it’s no surprise the debate has resurfaced. But the point is, despite this big news, and it is big, it’s not symptomatic of a wider problem in club culture. Let’s put things in perspective. Neither Matter nor Fabric has closed for good. To the contrary, Fabric announced yesterday (June 3) that “the nightclub, records and publishing continue business as usual,” while Matter, for now at least, has only shut up shop for the summer. Granted, that doesn’t skirt around the fact that Fabric591 – the company that owns both venues – has gone into administration. Something clearly isn’t working. But one club’s temporary closure doesn’t spell doom for clubland. Especially when that club is Matter. Matter was a bold experiment. A multi-million pound, cutting-edge club out in industrial East London was always going to have to work harder to get numbers through the door. But engineering on the Jubilee line has meant that for 60% of Matter’s opening hours its direct rail link – its pulmonary artery – has been blocked. Couple that with a recession, and it was fighting a losing battle. Less cash means less clubbing. Still, despite this, the UK’s electronic music scene is in rude health. 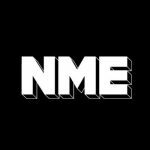 Just look at NME – Magnetic Man, LCD Soundsystem, MIA – all electronic artists, all NME cover stars in 2010. With the proliferation of Dubstep – the most revolutionary genre, not just in dance music, but in the musical world this decade – the UK is at the heart of global electronic music. The truth is, clubbing has been moving away from superclub culture for a decade now. But head across London on Saturday night and you’ll be pushed to find a warehouse that’s not been commandeered by clubbers – from Mulletover, through World Unknown in Brixton to Lo*kee, which literally started in someone’s front room. Birmingham’s most exciting club – The Rainbow – started housing warehouse raves and this summer opened a multi-venue complex that hosts music from dance to rock and everything in between. And as for Fabric… well, the fact that in the last six months it’s hosted the largest scale events of its history – its 30 hour On-And-On parties – speaks volumes about the health of clubbing, and the stamina of clubbers. People are still voting with their feet, and they say, dance.